A charismatic thief makes friends with a bankrupt baron who comes to live in the thief's slum. Meanwhile the thief seeks the love of a young woman, who is held emotionally captive by her slumlord family. In this classic adaptation of Emile Zola's novel, a tortured train engineer falls in love with a troubled married woman who has helped her husband commit a murder. The family of a Parisian shop-owner spends a day in the country. The daughter falls in love with a man at the inn, where they spend the day. 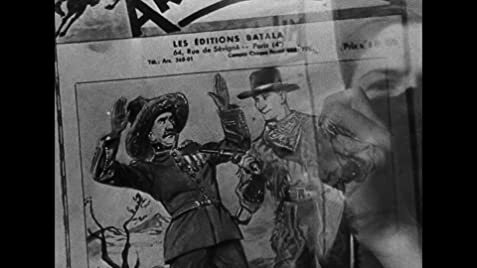 This comedy drama from Jean Renoir chronicles the revival of Paris' most notorious dance as it tells the story of a theater producer who turns a humble washerwoman into a star at the Moulin Rouge. A gang of thieves utilizes a cross-road garage as the hideaway. During their last caper, the gang has accidentally murdered a jewel thief, and the heat is on. Three men of varying social standing - a viceroy, a bullfighter, and a soldier - vie for the affections of an actress in 18th-century Peru. 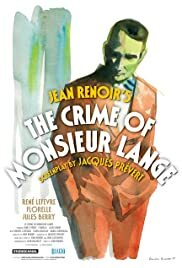 This very simple movie is not Jean Renoir's best, but it shows some very interesting social issues, typical of the 1930's french movement of cooperative togetherness. In this film, a very bad man (Jules Berry) steals the workers of his journal, seduce innocent girls and don't pay his debts. To run away from the police, he pretends to be dead. Then, the workers of the journal forms a cooperative and had big success, until the day the bad man come back. Renoir's direction is just good, but the actors seems to improvise.